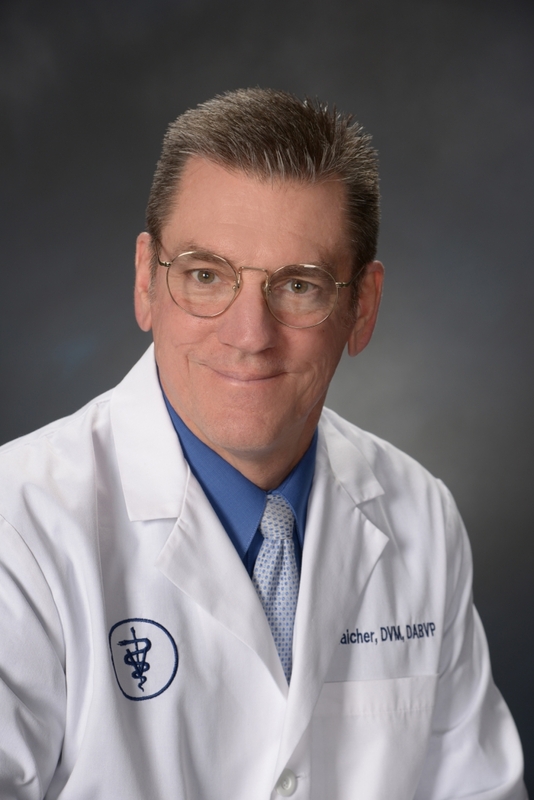 Dr. Kurt Blaicher grew up in Morris Plains, New Jersey, and attended the University of Pennsylvania ('77), earning a degree in Biology, and also started at left offensive tackle for the Penn Quakers Varsity football program. He graduated first in his class from the University of Tennessee College of Veterinary Medicine (GO VOLS!) in 1982, and has worked in New Jersey since graduation. Dr. Blaicher and his wife, Susan, created and owned a successful practice in Plainfield from 1987-2007, and then merged that practice with a larger local hospital. Missing the smaller hospital atmosphere, and practice ownership, they are now extremely energized and happy to have the opportunity to open Blaicher Veterinary Health Care in Bedminster. Dr. Blaicher is a Diplomate of the American Board of Veterinary Practitioners, with Board Certification in canine and feline practice, and serves on the ABVP Credentials Committee. Dr. Blaicher also serves on the Practitioner Editorial Review Board of the veterinary journal "Compendium." He is passionate about all aspects of private practice, but especially enjoys soft tissue and orthopedic surgery, internal medicine, and canine reproduction. When not at the hospital, Dr. Blaicher relaxes by windsurfing, skiing, cooking, playing guitar, traveling, target/ defensive shooting, ballroom dancing with Susan, and engaging in all aspects of photography. He is a member of the Stewartsville Presbyterian Church Choir, and he and Susan are long standing volunteers with Meals on Wheels in Warren County. Although their children are grown, their house is still full with 3 dogs, 2 cats, 2 cockatiels, and a Hanoverian horse.